Stephanie Dreyer is the founder of VeegMama, a vegan lifestyle brand sharing new approaches to healthy living, and the host of YouTube's "The Good Life With VeegMama." She is on a mission to excite children about eating fruits and vegetables, while encouraging families to cook together and live healthier. Her eBook, VeegMama's Guide To Going Vegan, is an Amazon Bestseller. Stephanie has been featured on KCAL 9 in Los Angeles and Chickpea Magazine. She is a proud partner of Raddish Kids, providing vegan, vegetarian, and gluten-free recipe substitutions for their monthly subscription boxes. Stephanie is also a contributor on the popular websites, World of Vegan and Girlie Girl Army, and has been featured on several websites, including PETAKids, The San Francisco Vegetarian Examiner, SheKnows, The Active Times, and Care.com. 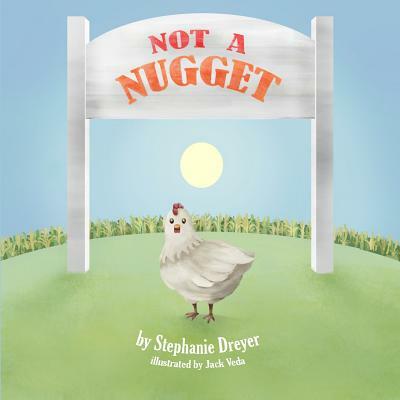 Her first children's book, Not A Nugget, is now available on Amazon. Stephanie holds a M.S. in Integrated Marketing from Northwestern University and a B.A. in Communications from The University of California, San Diego. She lives in Los Angeles with her husband and three children. When she's not writing at her laptop or chasing after her kids, you can find her cooking something delicious or reading something wonderful. Visit her at http: //veegmama.com.